Sometimes I have no idea what to post, and little time available to put anything together. I try to keep a few items in hand but this isnt always possible. I didnt want to miss out tonight as I know I wont be posting tomorrow evening as I am out late having a practice drinking session ready for Christmas. 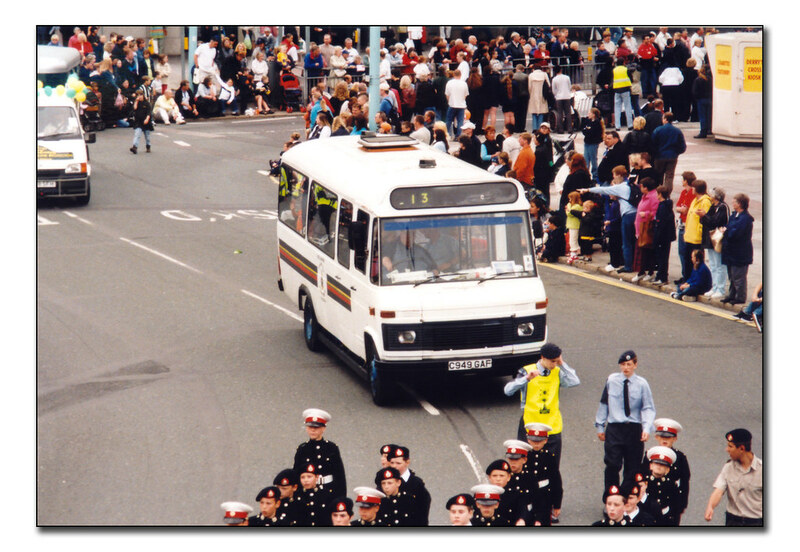 I then came across an old CD from 2001 with a few of my old photos on and saw this little Hoppa, ex Western National in what seems to be the Lord Mayors Day Parade from 2001. Its funny, you look at the fleet of Dennis Darts on the streets of Plymouth and dream of the good old days when Plymothians were carried about in proper double decker buses. Its easy to forget that actually the deckers were mostly seen off by these horrible things - (and Citybus had those awful Renault things) the Darts have then seen these off so at least they were a step back in the right direction!